We tried to discourage him to continue, but he was adament and we eventually called his master (who left his phonenumber on the dogs collar). The person we spoke was the owners wife, anad we agreed that we’d take Elou (I think that was his name, eventhough we all called him Benji, because he looked like a Benji) along to our lunch break. We needn’t worry about the dog, he’d be fine and we carried on. 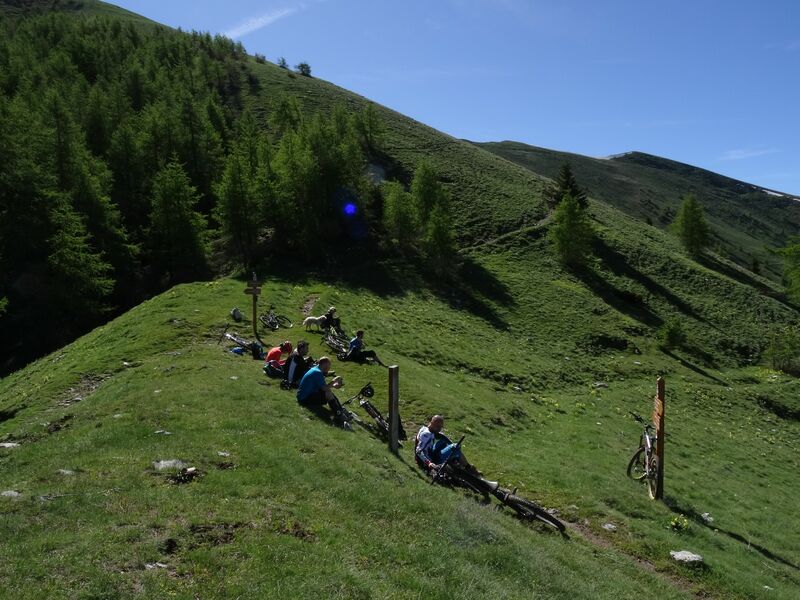 A great ride, well exposed and ungulated and ended in a wicked descent into town. Elou was having the time of his life and Ash started to like having him around, telling Elou where to run behind him. The little bugger was a very obedient dog actually. Our descent ended in a little square where his mistress was waiting for him, knowing he was in trouble, he hid under our field-kitchen-table but was carried off anyway. Bye Bye! 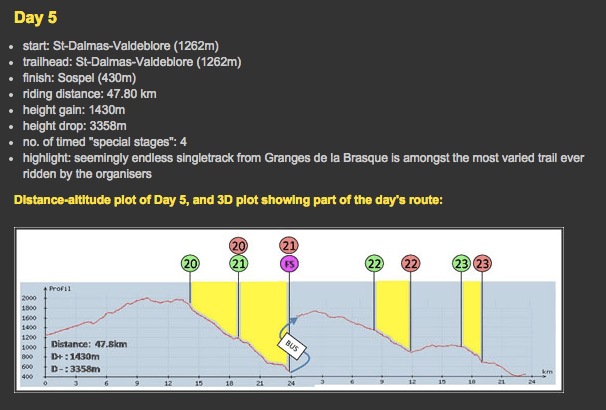 Trans Provence recap: the good, the bad and the ungulated Trans Provence day 1 and 2 Trans Provence day 3: we shredded! Trans Provence day 4: ungulate much?